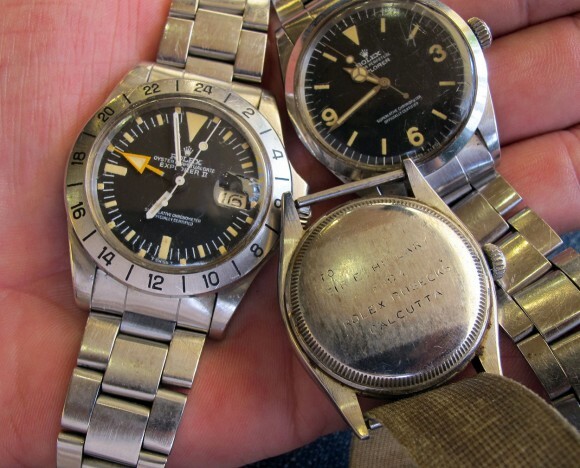 In below picture we see when we study the luminous up close that during a Rolex Service the lume has changed (from radium to tritium). 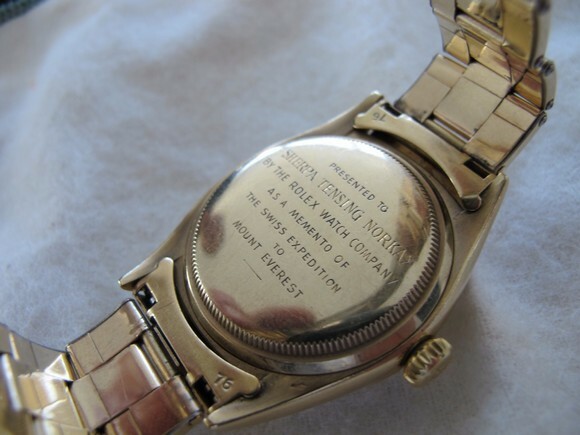 Rolex has changed history on many dials of important heritage Rolex during a service. Their policy that after servicing a vintage Rolex, it must fullfil to all specs it ones used to, has changed history in it’s purity. 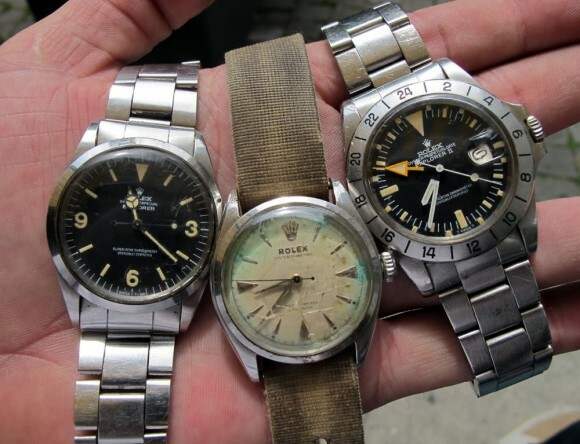 Nowadays they understand to keep it original but great watches are now not ‘as delivered’ (= collectors dream) during Rolex Service, therefore it’s not all original as once any more. 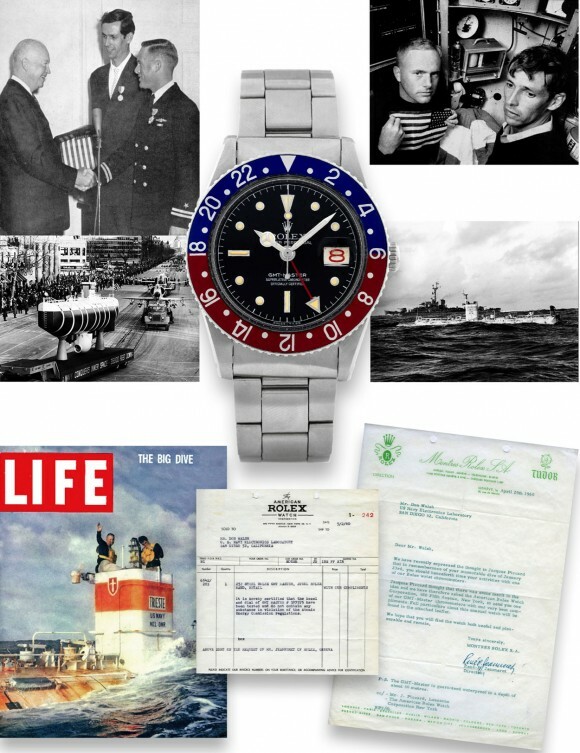 Next is the legendary Rolex GMT Master of Lt. Don Walsh. 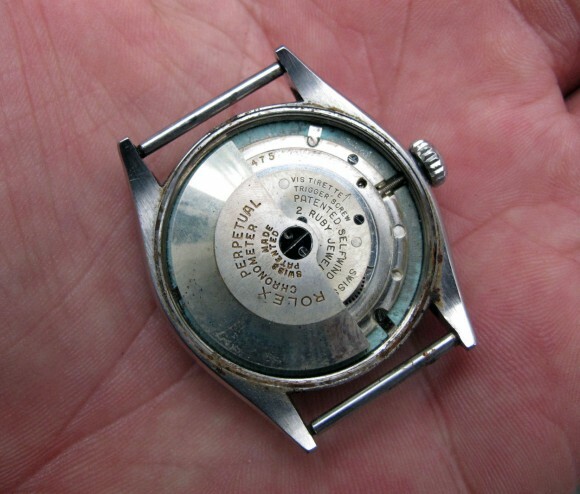 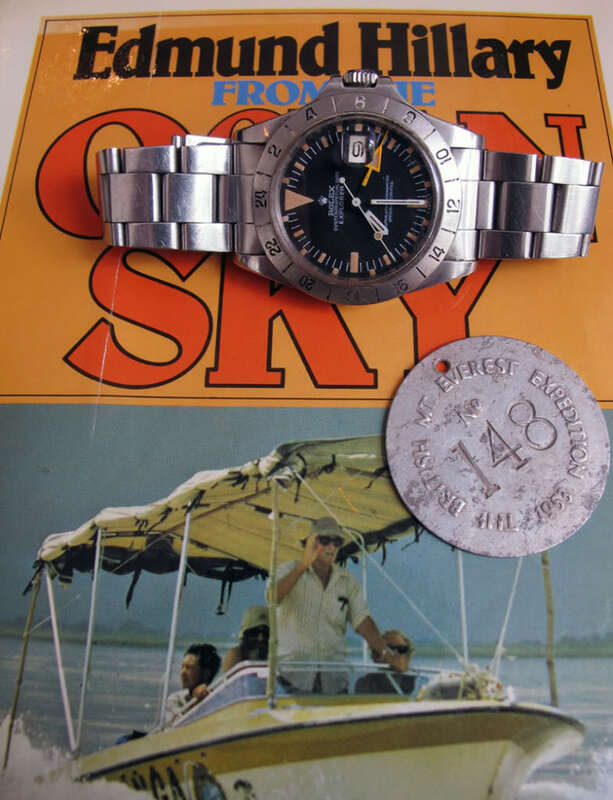 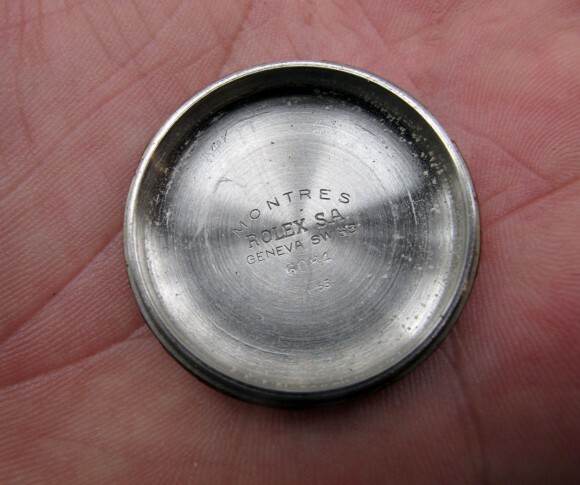 With the service done by Rolex ( After CEO Heiniger asked him at a Rolex Dinner where his watch was, he had broken in his pocket and handed it over, getting it back with a later < ’64 tritium service dial, killing it at auction with a very low result of $30K. 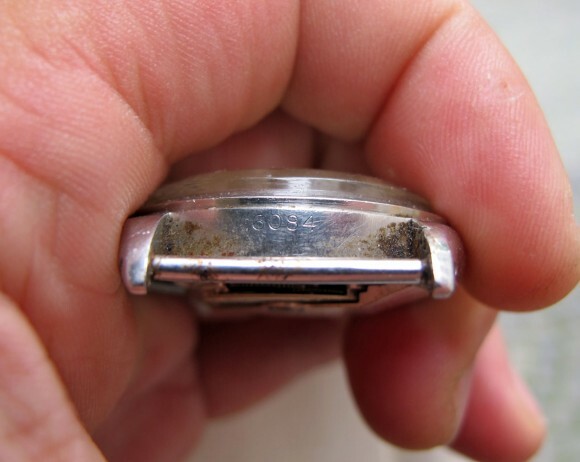 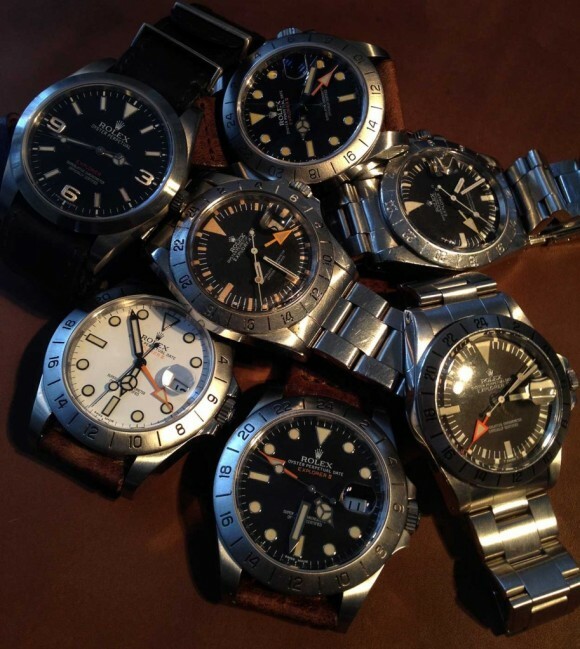 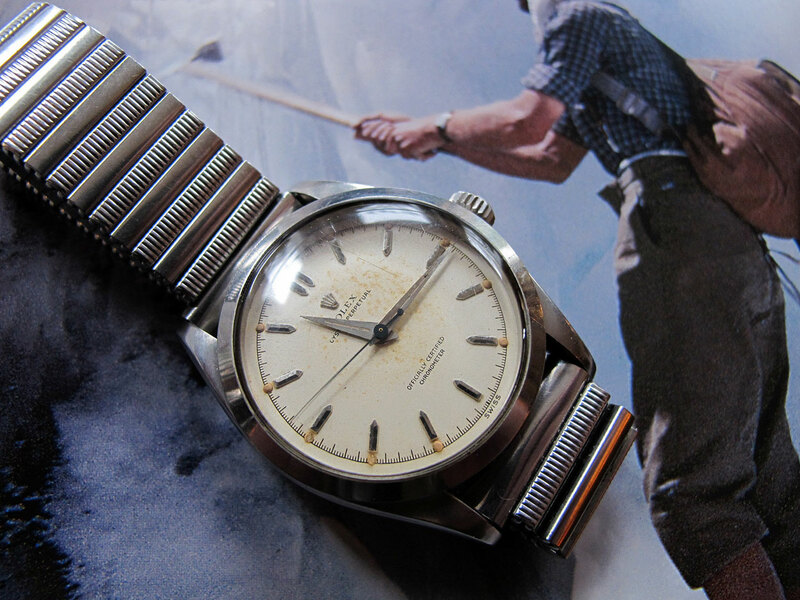 Therefore to find a historical Rolex in a never toughed but rugged condition is extra rare. 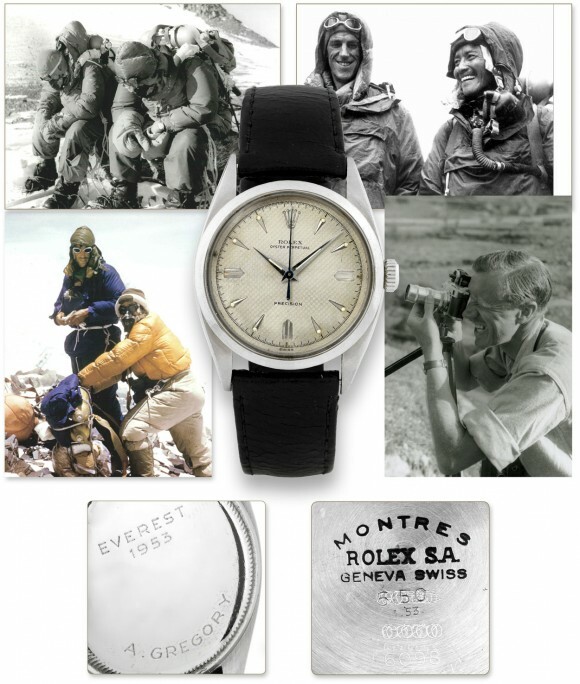 Next you see some I discovered during my research of George Band, member of the 1953 Everest Expedition. 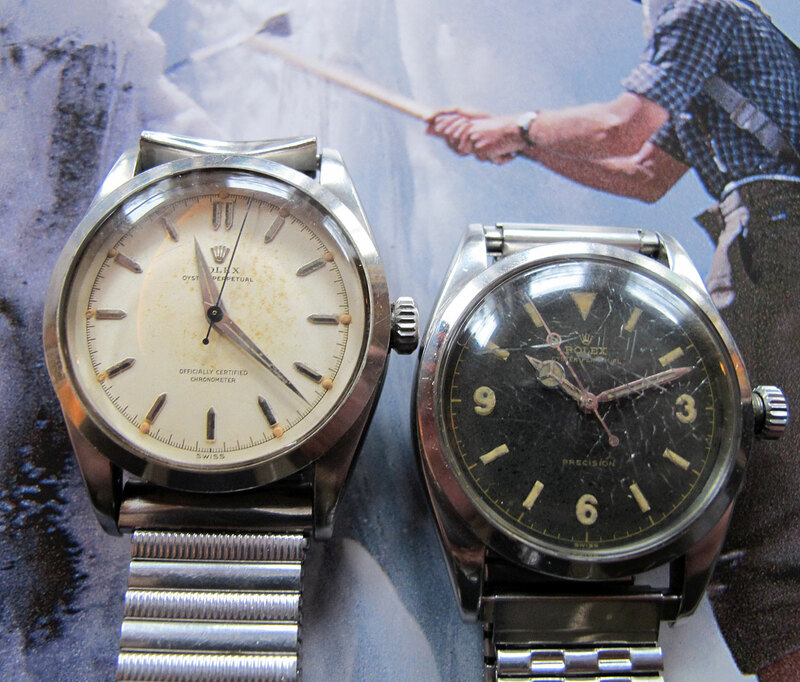 Both are un serviced by Rolex, stunningly original condition with ‘iced tropic where you feel what it all must have experienced on Mr. Bands wrist adventures. His 1953 Mt.Everest Rolex & 1955 Kathenchunga Rolex that George Band wore when he conquered and second highest mountain in the world with 8586 meter… This is the condition we collectors like to find with a rare Rolex, specially when it’s so important for the evolution of Rolex in general, only all original is good enough. 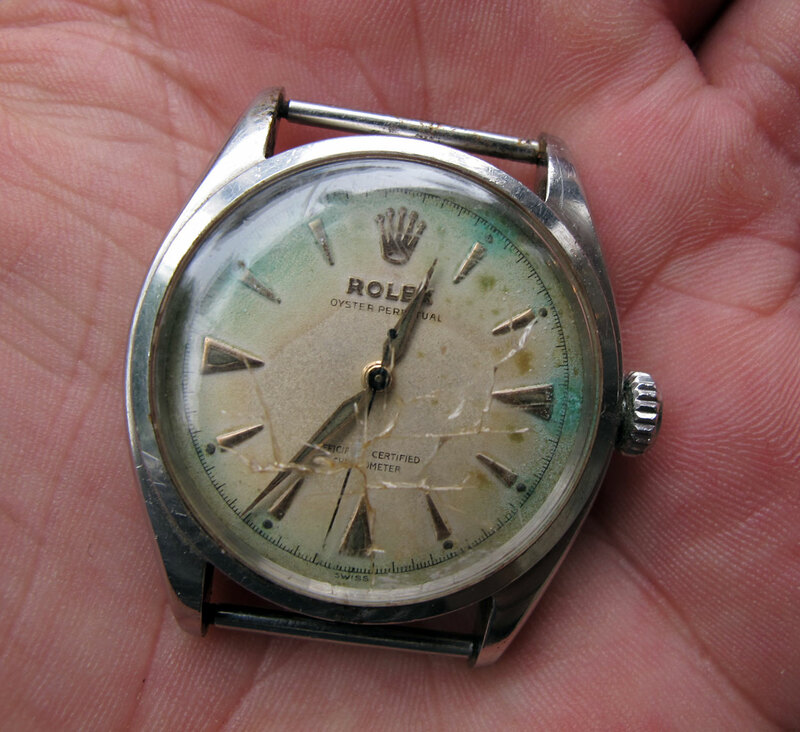 See next the spectacular patina on the markers and hands of this legendary Mt.Everest Rolex. 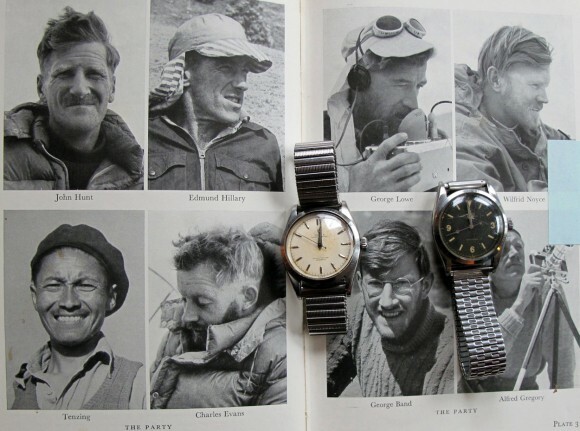 Mr Band was not convinced that the bracelet Rolex provided would suit him during his climbs, there for for extra security he changed both the Rolex bracelets to Flixoflex. Mr. 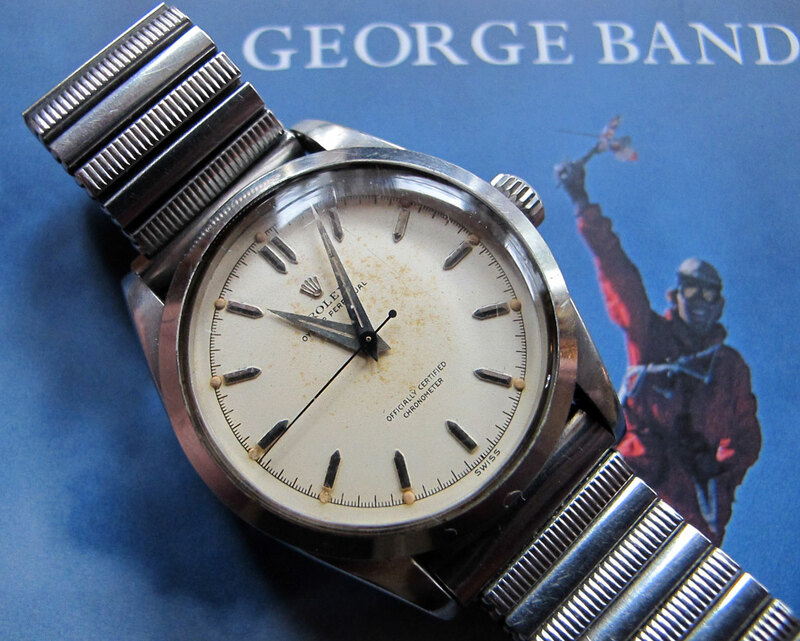 Band told me the British Everest Expedition got their Rolex on board of their ship to prevent taxes. Sir Edmunds Rolex Explorer II Orange Hand, Bosecks and Explorer I ( only one he bought himself in HK during a trip, all other where presents of Rolex). 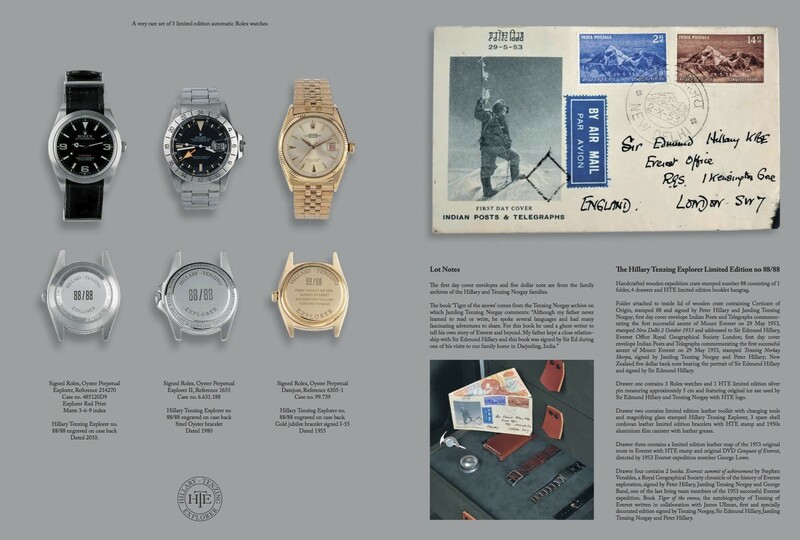 Ocean to Sky Expedition by Sir Edmund Hillary’s all original, unserviced Rolex ref 1655 given by Rolex Geneva. 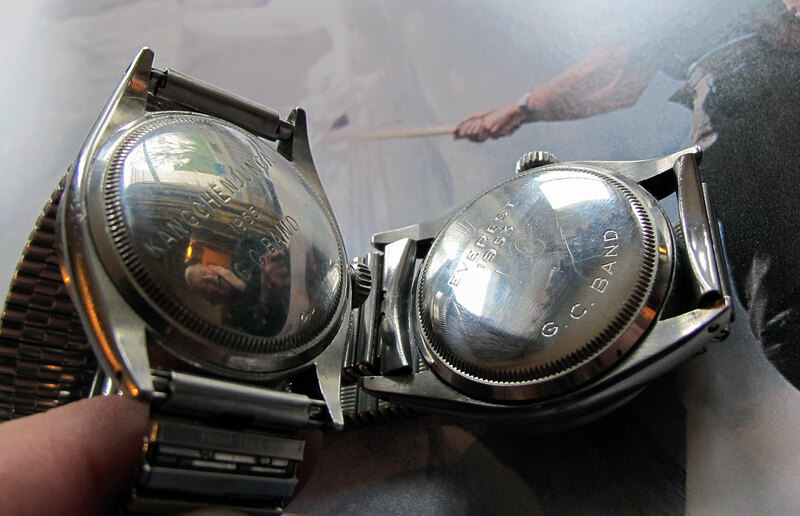 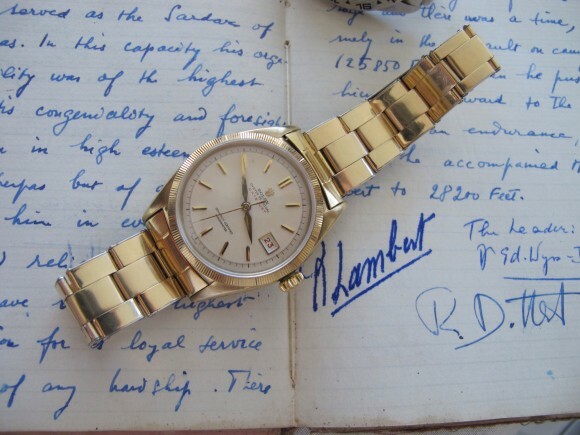 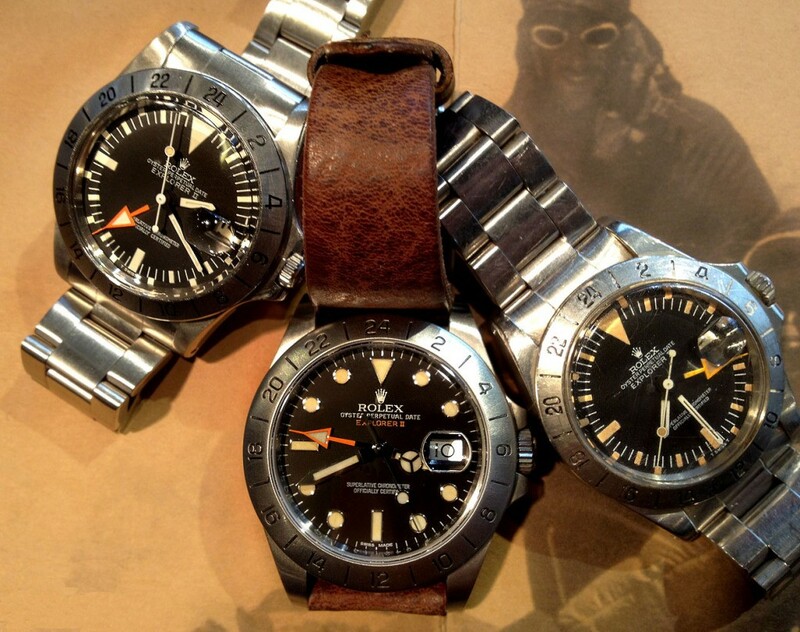 3 times Explorer Rolex, originally given to Sir Edmund Hillary, finally back home to preserve for the next generation! 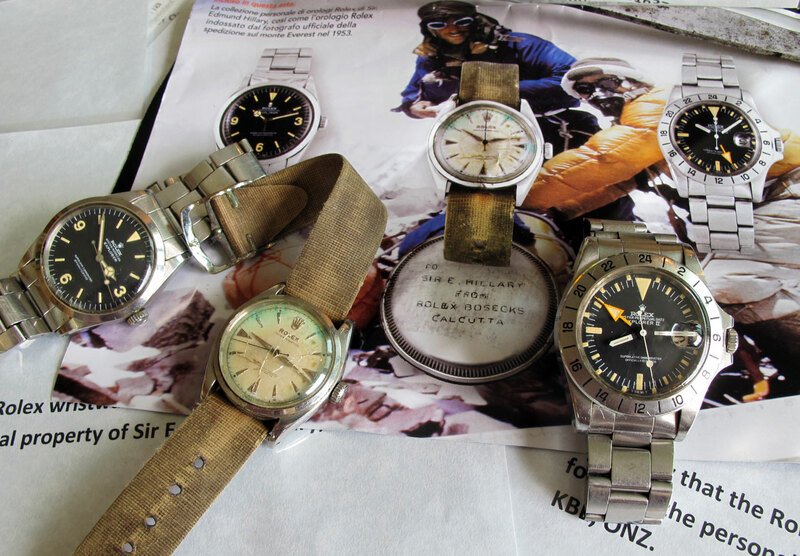 Group shot with some vintage heritage Expl II of Sir Ed and modern heritated special edition to honor Sir Hillary and Tenzing Norgay. 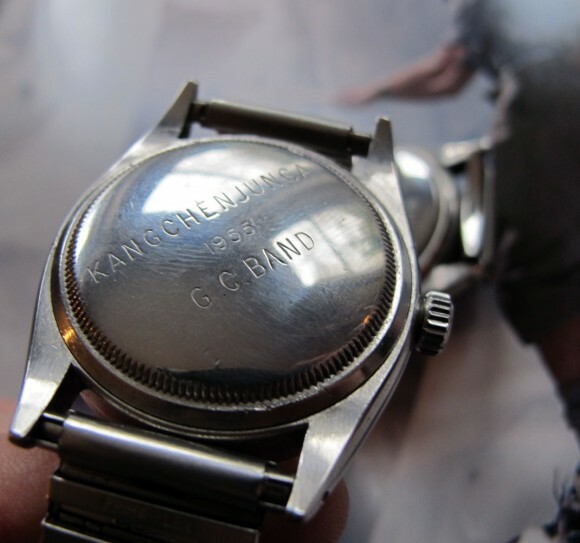 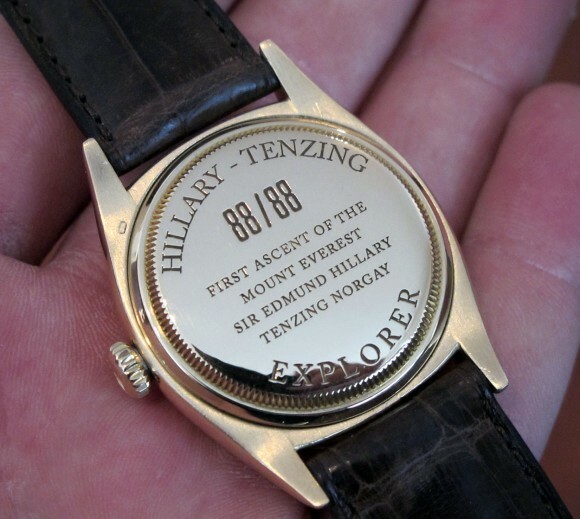 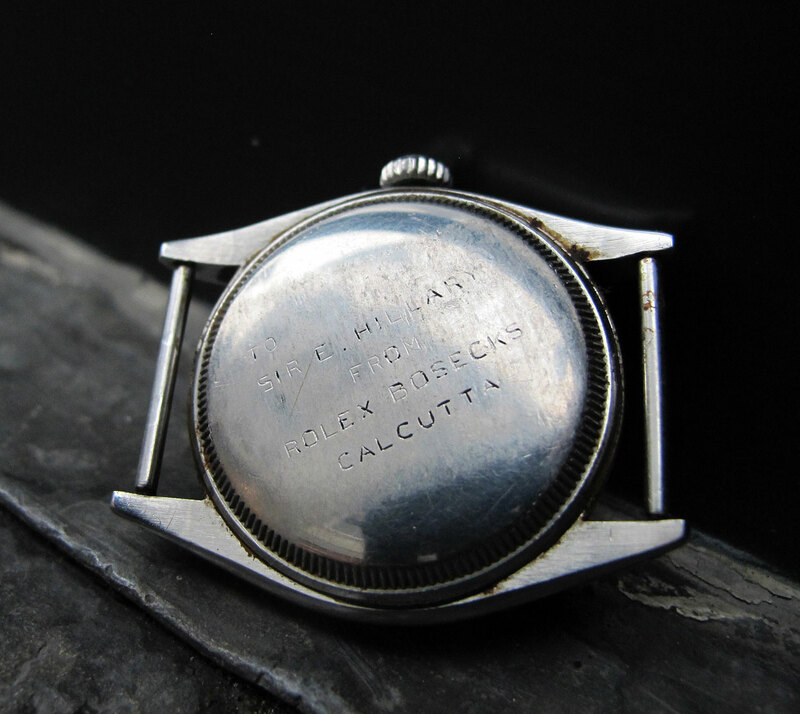 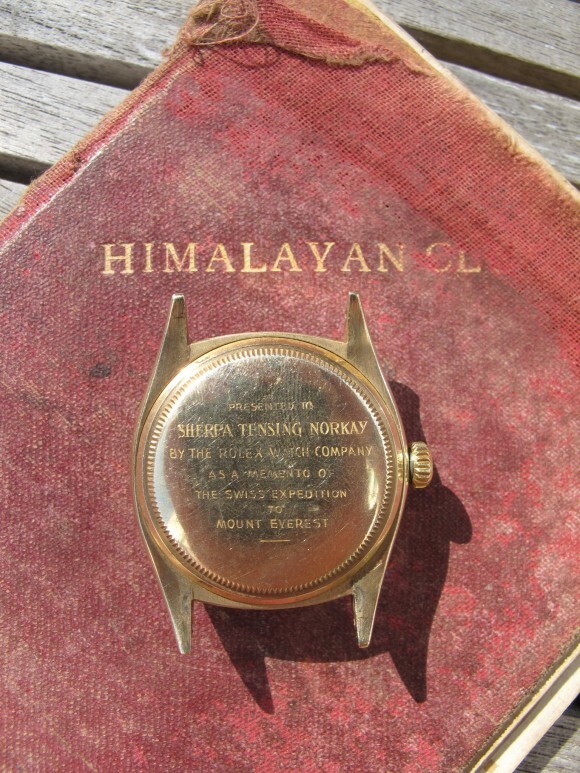 Presented to Sherpa Tensing Norkay, by the Rolex Watch Company, as a memento of the Swiss Expedition to Mount Everest! 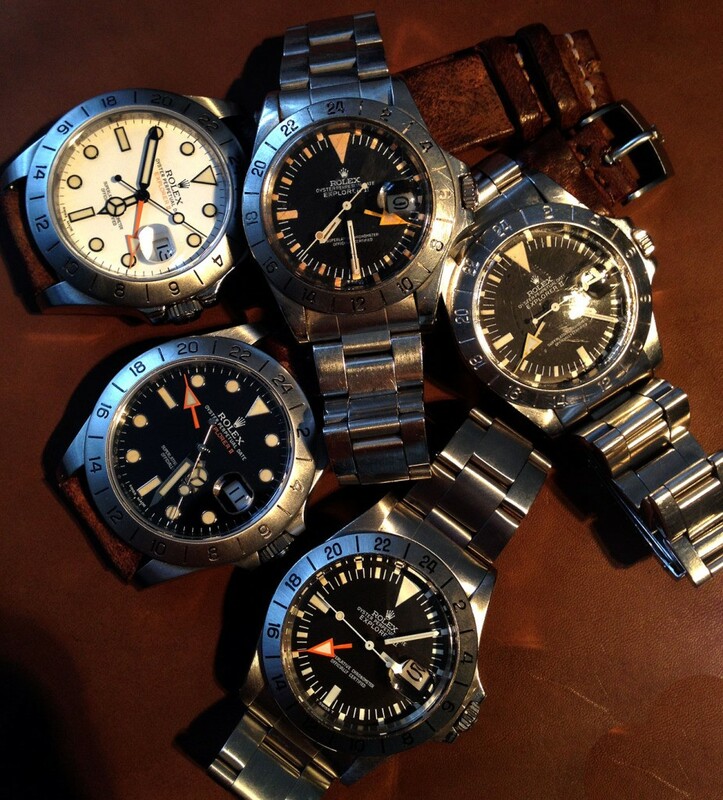 This post was written by Philipp on April 17, 2012.